Make the most of your limited floor space and reduce storage costs with our Compactus Mobile Shelving. 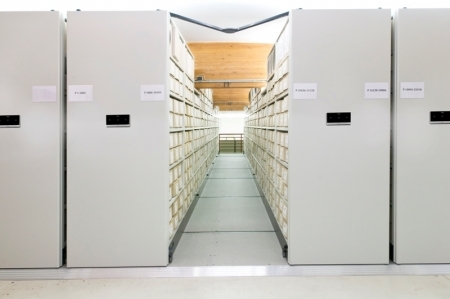 Compactus Mobile shelving offers many advantages and offer an extra 100% of storage capacity. 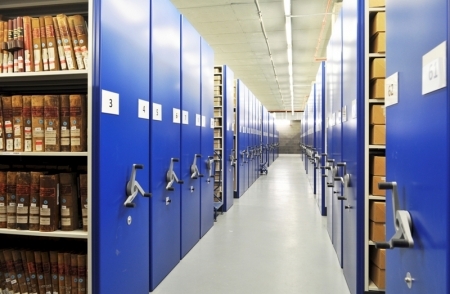 Whether your archive is in the basement, on the top floor, or in a distant warehouse, with our mobile shelving systems you will discover that space efficiency and accessibility go hand in hand. Besides 100% more storage capacity the mobile shelving is easy to use, guarantee high safety standards, protection of goods and our comprehensive range of versatile accessories enables you to customise your system to your exact needs. 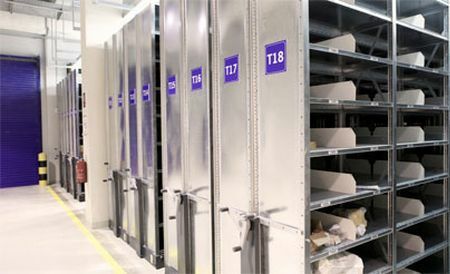 Mobile shelving systems double storage capacity in the same floor area when compared to traditional static archive shelving. 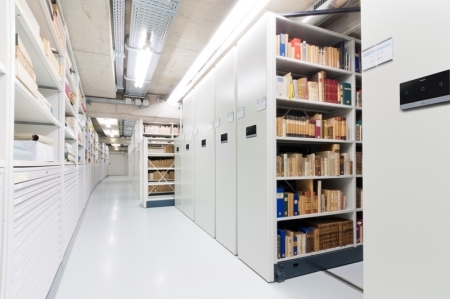 If you have a suitable space with high ceilings, a double decker mobile shelving system can increase archive space by 400% over a static system in the equivalent floor plate.